Our yoghurt comes directly from the Seeber Farm, Lans. Fresh butter and milk is obtained from the Sterzinger Milchhof (Sterzing dairy farm) which is directly supplied by farmers from the Stubai Valley. Our various cheeses are purchased from the alpine dairy farm, TIROL MILCH. Meat products and sausage varieties are delivered to us from the butcher Hörtnagl in Innsbruck und Stern in Neustift. Breakfast bread rolls, Kornspitz (a traditional bread roll with austrian roots) as well as various wholemeal breads come directly from the local village bakery Denifl, one of the last village bakeries in the Stubai Valley. With all our other products, we also place a great emphasis on the sustainability and authenticity of their production. Truly experience the culinary delights of Tyrol! 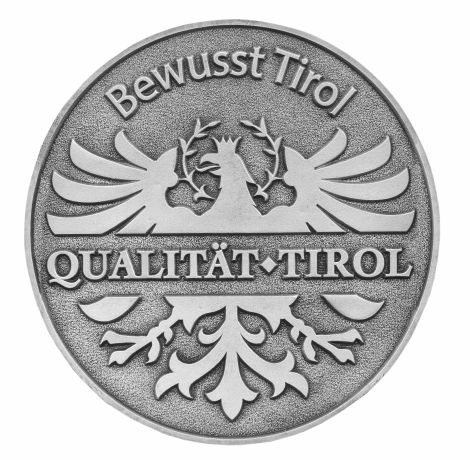 For many years now, our establishment has met the quality criteria for the protected trademark QUALITÄT TIROL (Quality Tyrol). 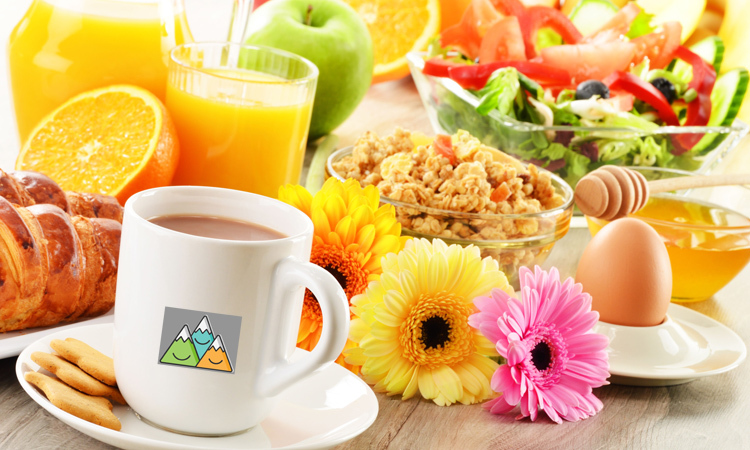 This means that the amount of purchased Tyrolean products correspond to the number of our guests. The Quality Tyrol trademark review and award occurs annually and guarantees our guests a truly conscious Tyrolean culinary experience. So your butter and egg yolks look more golden yellow than at home, with a taste that’s even more delicious!